HELMAND, Mar. 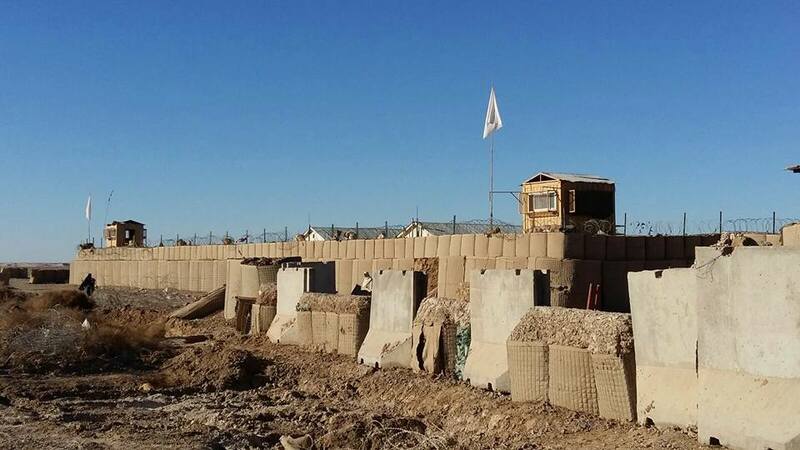 07 – Reports arriving from Babaji region of the capital Lashkargah say that at around 01:00 am local time today, Mujahideen of Islamic Emirate launched coordinated attacks on a key enemy battalion base and defense check post located in Spin Masjid’s Sepan area amid the ongoing ‘Azm’ campaign. The attack lasted till 03:00 am in the morning as a result both enemy positions were overrun and the hirelings forced to flee while leaving behind the bodies of 21 gunmen. 2 US machine guns, 3 US rifles, 2 Ak rifles, RPG launcher with 29 rounds, mortar tube with 25 rounds, sniper rifle, 1 item NVG, 13 82mm artillery rounds and a sizable amount of other equipment was seized in the operation whereas an APC was set on fire. The entire area is currently under the control of Mujahideen. At around the same time (midnight), Mujahideen overran a police check post in Babaji’s Baezo area during a one and a half hour attack, killing 8 gunmen as well as seizing a PKM, RPG launcher, 6 Ak rifles and a sizable amount of other equipment. All praise is due to Allah alone, no Mujahideen were harmed in the operation.